An alarmingly large number of Americans have filed for bankruptcy in recent years. 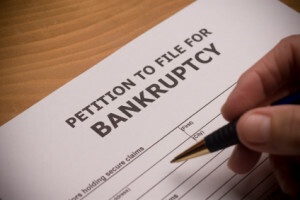 Below is a list of the most common sources of modern American bankruptcy. A study conducted by Harvard University shows that 62 percent of all personal bankruptcies have resulted from medical expenses, more specifically the hundreds of thousands of dollars in medical bills from rare or serious diseases and injuries. Close to 80 percent of Americans who filed for bankruptcy because of medical expenses have medical insurance policies. Job loss, whether from layoff, termination, or resignation, results in an obvious loss of income. The loss of income and other benefits that come with a secure job, forces the unemployed to drain their financial resources. Unfortunately, those who cannot find another form of employment in a timely manner often must file for bankruptcy. It’s a well-known fact that many Americans struggle with managing their finances. Credit card bills, installment debt, car and other loan payments can all add up. Once the borrower is unable to make even the minimum payment on each type of debt, filing for bankruptcy is likely the only option left. Going through a divorce or separation is not just emotionally draining; it is often financially draining, too. Paying legal fees, dividing marital assets, deciding on child support and visitation, and maintaining two separate households puts a strain on finances for the many Americans who go through this process every year. Emergency spending can certainly add up, but some of the most common unexpected costs are associated with loss of property, due to theft or severe weather events. Many homeowners don’t realize they need specialized coverage for earthquakes, floods, or tornadoes. If they don’t have that coverage, they are likely to lose their homes and valuables and spend quite a bit rebuilding their lives. 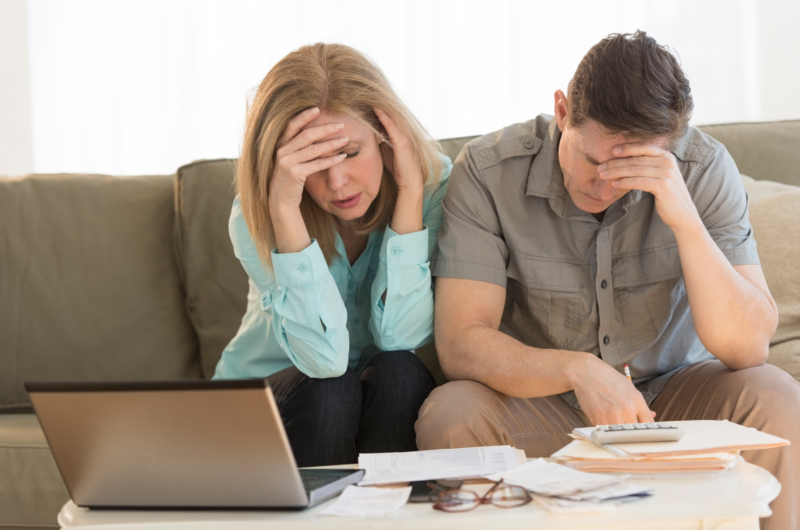 There are a variety of reasons Americans turn to bankruptcy, but often, common sense, sound financial planning, and preparation for the future can prevent bankruptcy from being your only available option. At Blick Law Firm, we understand that filing for bankruptcy is an emotional experience. If you are considering filing for bankruptcy, our trusted team of attorneys can help maximize your recovery and provide you with the benefits you are entitled to. Visit blicklawfirm.com to fill out an evaluation form, or call 888-973-2776 for a free consultation today! For those with debt, bankruptcy can seem like the worst case scenario and something you would never want to put yourself through. However, others may see it as a fresh start or a new beginning on your financial life, which you haven’t been able to get a hold of. In truth, when you file for bankruptcy you should expect a very large change to occur in many parts of your life, and know that the struggles you will go through are simply steps on the path towards recovery. Your life after bankruptcy will take some getting used to. Getting loans, a credit card, or anything else financially related will be very difficult. And when you finally are able to receive some form of credit, your interest and the fees you pay will be out of this world. However, there is still hope! While bankruptcy will remain on your credit report for ten years, rebuilding credit is the first step to getting back on the track to redemption and moving past this point in your life. However, filing bankruptcy can have affects you never even expected. Since everyone that has any sort of financial relation to you will check your credit report, you may see different aspects of your life effected from bankruptcy. You may see your insurance go up, you may be declined from employment because of it, or your place of employment may become notified. Your life will encounter drastic changes, and some will be more difficult to cope with than others. However, not all is lost. Your life isn’t over, we are here to aid in this process! We here at Blick Law Firm believe it’s simply an admittance of need. Sure, things will become more difficult, but it is nothing that you cannot overcome, and Blick Law is here to help you through it with legal advice, counseling, and any other form of assistance you may need. We treat our clients like family, and if you find yourself needing helping when you are going through this tough time, know that we are here to offer a helping hand. 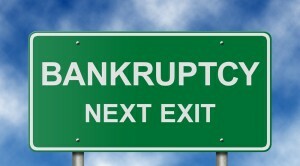 Bankruptcy doesn’t mean the end; it simply means it’s time for a new beginning. You’ve hit rock bottom. You probably have very little to your name and the road to financial recovery is looking uphill. Life after bankruptcy is one full of challenges and turmoil, but it is your decision to sink or swim. The following details some things that one can expect after filing for bankruptcy. Dependent on the type of bankruptcy you filed, your options may differ. 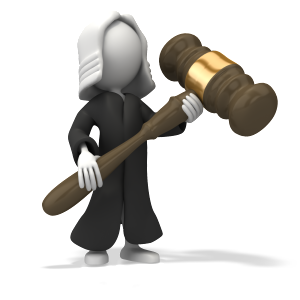 A Chapter 13 means that the court will oversee your financial recovery. They will take a portion of your paycheck to pay off some of your debt. A Chapter 7 means that you will be absolved of most of your debts and that the court will not garnish your wages to pay off your debt. Although a Chapter 7 allows you to walk away mostly free and clear, the repercussion can be seen on your credit. People who file Chapter 13 are much more likely to recover financially and build their credit back up in less time than those who file a Chapter 7. Of course, the bankruptcy will still be reflected on their record. So what happens then? 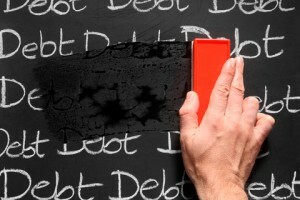 What should you do after you’ve filed bankruptcy? First, understand that you will no longer have access to any lines of credit. No credit cards, no loans, nothing; this means strictly dealing in cold hard cash. Save up for those rainy days because you won’t be able to use credit to pay forward unexpected fees and accidents. This may mean having to live a simpler lifestyle, but hopefully you’ve come to terms with meagerness. Many people who find themselves in financial chaos arrived there because they lived a life that was too extravagant for what they were making. Are you struggling to overcome your debt? Have you built it up to the point where it is not feasible to pay it off? Blick Law Firm specializes in Bankruptcy cases. We can assist you and counsel you with your bankruptcy. Furthermore, we offer alternatives to bankruptcy and refer clients who aren’t terribly off to credit rehab programs. To find out more about our bankruptcy services and how we can assist you or anyone else, please visit our website. What do Target, JP Morgan and Home Depot have in common? These are all large corporations that have experienced serious security breaches. The security breaches compromised the identity of millions of consumers and shook their confidence. How do such big corporations get hacked? Aren’t there firewalls and identity protection procedures in place to prevent such breaches? Surely such huge corporations can afford the best and most secure anti-hacking products. The truth of the matter is that, technology has evolved to a magnitude that is nearly incomprehensible. Nearly everything we do is integrated to some sort of machinery. The dawn of the internet laid the foundations for a worldwide integrated information super highway and now, more than ever, people who are tech savvy are finding ways to get ahead. Unfortunately, some of those people are hackers who are willing to take advantage of other people’s hardships for their own monetary gains. As a result, the continuous struggle between hackers and security programmers has escalated into an intense cold war. Just like viruses and antibodies adapting to each other’s defenses, hackers and programmers are consistently evolving their tactics to keep ahead of each other. The thought of having your information stolen is terrifying. With the advent of Black Friday and the winter holidays consumers must be more careful now than ever to protect their information. Fortunately for Floridians, new legislation has taken effect to protect consumers from cyber fraud. Implemented July 2014, the Florida Information Protection Act imposed new regulations for protecting the consumer. Essentially the act states that companies must do more to ensure that consumer information is protected and safeguarded from hackers. The expected level of protection is based on the size of each company; obviously, the larger the company the greater the need for more advanced consumer protection. 1. Check banks statements and report anything that seems suspicious.